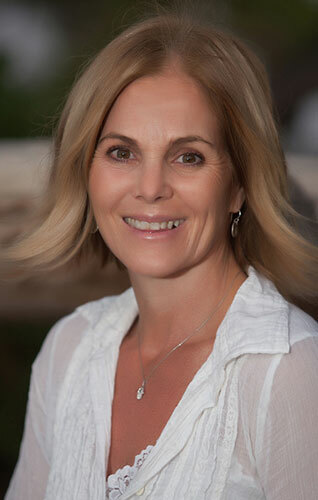 Natalie McAdams is one of the most sought after event planners in Los Angeles. A lawyer by education, McAdams has been producing events across the nation over the past 20 years. McAdams began her career in Aspen, Colorado producing the World Championships of Endurance Skiing and other World Cup Events for the Aspen Skiing Company. She moved to Los Angeles in 1997 and quickly rose through the ranks at PPW Inc to Vice President - running the event production division of that company. Career highlights include seven NFL Super Bowls and seven MLB World Series and All Star Games in cities across the nation, the X-Men Premiere on Ellis Island as well as the Opening of the Getty Museum in Los Angeles. Drawing on her experience, in 2002, McAdams’ founded Namevents. Her strategy was to streamline production resulting in lower overhead by using outside vendors and creating strategic alliances with other boutique businesses. Our sweet spot is logistically complicated events, not for profit fundraisers and events requiring an out of the box mindset. Our clients include all of the major studios, non-profit foundations, corporations, fashion houses, festivals and individuals looking to create that special family occasion - wedding, bar or bat mitzvah, or notable birthday. McAdams’ experience, relationships and unique business model coupled with a keen design aesthetic, cutting edge ideas and a passion for organization make Namevents the production company of choice in Los Angeles and across the nation. Originally from St. Louis Missouri, Heidi Guenther’s strengths lie in her creativity and exceptional customer service. She graduated with a BA from Stephens College in 2010 and immediately relocated from Missouri to the Los Angeles area to begin her career in the hospitality and event industry. Guenther is a master of all crafts - serving, bartending, performing, sales and coordination. She cut her teeth working for some of the biggest names in the hospitality and event industry including Disneyland, Honda Center and Hornblower Cruises. She has countless events under her belt including music concerts, NFL hockey games, NCAA and NBA basketball games, charity fundraisers, auctions, weddings, anniversaries, birthdays, bar and bat mitzvahs. Guenther prides herself on effective communication, realizing the client’s vision and seamless production from start to finish. As our newest team member, she is ecstatic about working with you and co-creating your next event. 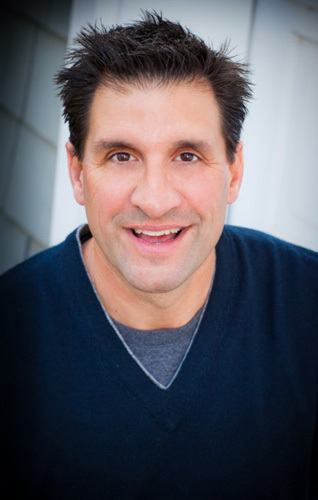 With over 25 years of experience developing catering programs for event planning firms and restaurateurs across the country, Kevin Charbonneau has distinguished himself as one of the nation's leading event management experts. His extensive knowledge of industry best practices, combined with his operational expertise, personnel management and hands-on approach to each client has made him highly sought after. In 1991, Charbonneau joined Restaurant Associates as Director of Operations where he spearheaded the company's operations and service programs - key factors in increasing the company's hiring and retention, departmental productivity, and client satisfaction. In 1996, he began his own consulting firm where he serviced a diverse roster of clients including Jaguar, Cartier, and renowned chefs David Bouley, Dan Barber and Wolfgang Puck. In 1999, Charbonneau became Vice President of Operations for Puck's national catering initiative, Wolfgang Puck Catering, where he created the operational programs and training for all executives, management and event staff. Additionally, he had personal oversight for many of the company's high-profile events including the Academy Awards Governor's Ball, The Grammy Awards, Presidential dinners, and elite celebrity weddings. In 2007, Charbonneau launched the Catering Consultant to provide comprehensive solutions to growth oriented companies - existing catering companies, emerging restaurateurs seeking entry into the catering market, and event producers and designers in need of hospitality and event management. A lifelong Southern California resident, Jeannie Choi-Wolff is all about the details. She earned her undergraduate degree from USC and went on to earn a law degree from Southwestern University School of Law, and enjoyed a career as a litigator for nearly a decade. Looking for a creative outlet, and knowing there was more to life than a courtroom, Choi-Wolff channeled her love of all things fun and fabulous into her first event: a fundraiser for a Los Angeles non-profit. Convinced this was her calling, she continued down the event path and has since successfully produced countless live and silent auctions, festivals, galas, charity fundraisers and social events for a myriad of non-profit organizations and corporations. Charles Rollins has been in the special events field since 2004. He is a C10 licensed electrician who began his career with Event Technical Services. His specialty is electrical installations and construction services. Career highlights include the Oscars and Oprah’s Legends event at her home in Montecito. 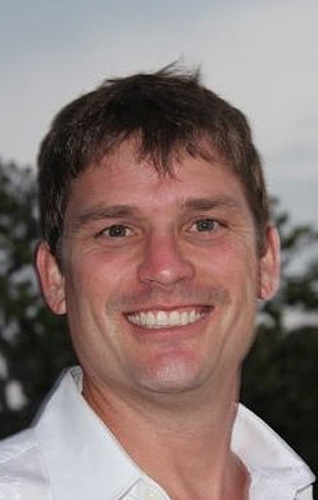 At Namevents, Rollins is a project manager and technical director. His expertise is invaluable on large scale events. He oversees the installation of generators and the distribution of power on all large job sites. Additionally he interfaces with all the other technical teams – lighting, audio visual, and sound – to make sure that operations are smooth. With Rollins on the team, Namevents is able to seamlessly choose the best power solutions for their clients. Unlike many special event companies, with a licensed electrician on the team, Namevents can avoid generators and opt for less expensive, less invasive power tie-ins instead. Jen began her event and fashion career with Gen Art where she rose to National Vice President of Marketing. In that role for six years, Egan showcased, promoted and supported emerging talent in the fashion, music and art arenas. With her help, Gen Art won the Fashion Award for Inspiration in bringing global attention to the LA region's fashion industry and style culture. Egan left to become the Head of Marketing for the fashion vertical at 944 Magazine where she continued to provide access to rising undiscovered and established talent from around the world. She has appeared in several seasons of Project Runway and was the official national casting judge for the spin-off Project Accessory. Egan has also hosted Fashion Night Out and served as a fashion commentator for VH1, KTLA, Oxygen, Lifetime, Bravo, CNN, Fox, Style Network, Young Hollywood Awards, Fab Sugar and Current TV. She founded Jen Egan Media in 2009. Egan’s clientele ranges from emerging to established designers, stylists, editors, celebrities, networks, retailers, marketing agencies and corporate brands. Egan’s strengths lie in connecting emerging designers and name brands. In addition, she is a valuable resource for audience curation. We are very lucky to count this uber-connector as one of our Namevents’ team members.